News, information, and all the latest topics. Vivonio wants to continue to grow. The Munich-based Vivonio Furniture Group is anticipating growth in turnover of just over 15 percent for 2015. With its three subsidiaries MAJA, Staud, and SCIAE, four factories, and 1,200 employees, the group of furniture manufacturers is expecting a total turnover of approximately 300 million euros in 2015. The subsidiaries of Vivonio are among the leading European manufacturers in their respective segments. Vivonio intends to continue to pursue its course of growth in the coming years – by acquiring other European furniture manufacturers as well. 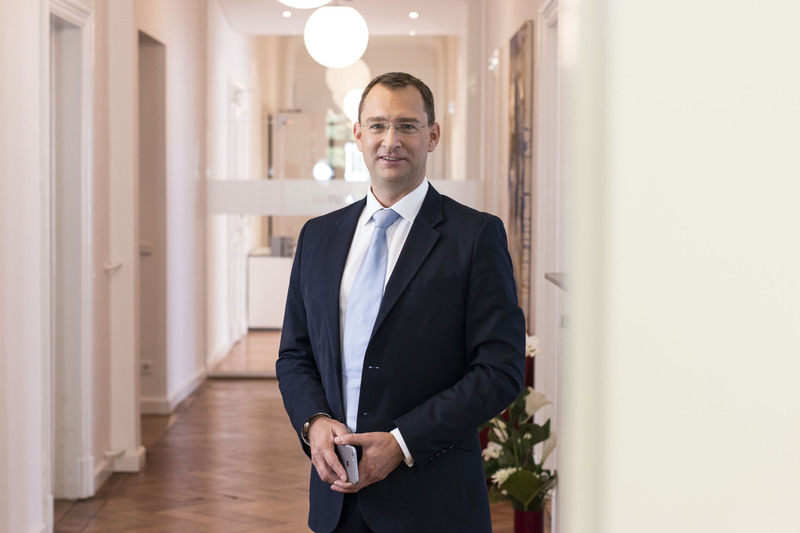 Dr. Markus Witte (46) is the new Managing Director at MAJA Möbel in Kasendorf. With its main factory in Kasendorf, Upper Franconia, and another factory in Wittichenau near Dresden, the subsidiary of the Vivonio Furniture Group – with over 800 employees – produces flat-pack furniture for do-it-yourself assembly. 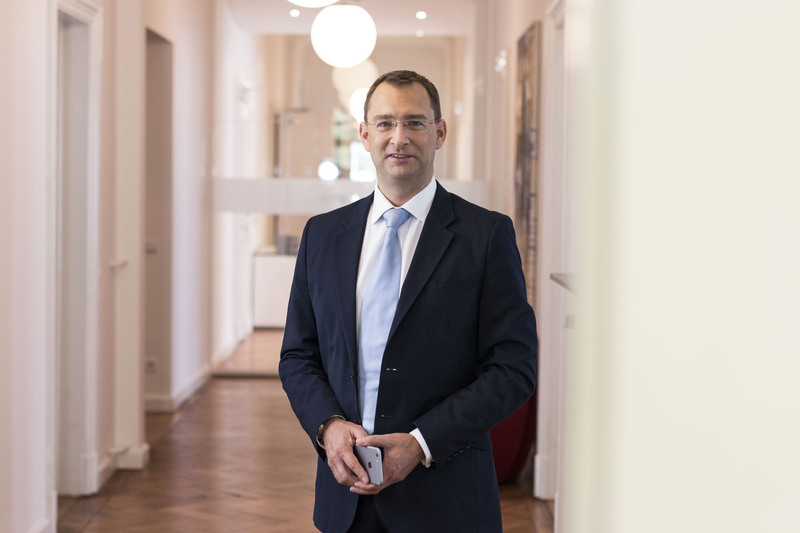 Upon joining the management team of MAJA, Markus Witte will initially take over the management of MAJA in Kasendorf together with the former Managing Director Heinz Hien (63). Heinz Hien, whose work has made a lasting mark on MAJA, is entering phased retirement. Markus Witte will continue to pursue the course of growth and innovation that has been taken to date, and further build on MAJA's strong position in the manufacture of flat-pack furniture. The furniture specialist has now included easy-to-handle desks with manual height adjustment in its portfolio. "The products of the prestigious company from Coburg complement our range of products perfectly. With the high-quality height-adjustable desks, we are now tapping into a segment with the upmarket office furniture sector with enormous growth potential," says Vivonio CEO Elmar Duffner. Leuwico, an office furniture manufacturer based in Wiesenfeld near Coburg, Germany, implemented a one-of-a-kind project in the Franconian town Hof last summer: It joined forces with fickenscher architektur+ to implement a visionary office concept on an area of 1,564 square metres in a century-old textile factory. The building belongs to the international manufacturer Tenowo GmbH, a subsidiary of HoftexGroup AG headquarted in Hof. "The concept is based on the sustainable approach of building upcycling to create a modern and pleasant working environment for all employees," explains Uwe Fickenscher, an architect based in Hof. The Dutch wardrobe manufacturer Noteborn is acquired by Vivonio Furniture GmbH. Shortly after acquiring Leuwico GmbH, the holding is further strengthening its position as a leading player in the European furniture market. The highly professional manufacturer of bespoke wardrobe systems employs around 70 staff and generated a turnover of around 11 million Euros in 2016. Noteborn will be the fifth daughter company and the sixth manufacturing site within the Vivonio group, which was founded as Vivonio Furniture GmbH in 2012 in Munich. Vivonio Furniture Group has appointed Axel Brömstrup as the new Managing Director of MAJA Kasendorf. With his extensive experience in lean manufacturing, Axel Brömstrup is ideally suited to continue the successful development of the company. The Vivonio Furniture Group itself is also growing, with Holger Kierdorf appointed to the newly created position of Head of Digital Strategy. Furniture ranges for the bedroom that combine tradition with innovation – this is the key to success for STAUD. They have been so successful that this company, with a history extending back to 1653, is now expanding its production facilities with a new building. The official groundbreaking ceremony on 7 July 2017 was attended by the press as well as politicians. The new plant will start production in early 2018. By purchasing fm Büromöbel Franz Meyer GmbH & Co. KG, Vivonio Furniture GmbH is extending its competence as a major player on the European furniture market. The company from Bösel founded by master carpenter Franz Meyer in 1964 is the sixth subsidiary of the Munich-based furniture alliance. Vivonio Furniture GmbH expands its portfolio of custom built-in cabinets by acquiring Denmark-based KA Interiør S/A and strengthens its presence on the Scandinavian furniture market. The Danish company is one of the largest private label manufacturers of sliding door cabinets in Scandinavia. Together with the Dutch subsidiary Noteborn B.V., acquired in 2017, the furniture holding company from Munich continues to consolidate its leadership in Northern and Central Europe. Since fm Büromöbel joined the Vivonio Group in September 2017 as the sixth subsidiary, it has developed extremely well. To ensure sustainable growth, fm Büromöbel GmbH is now significantly expanding its production capacities: With the takeover of a modern production site in Upper Austria, the company is adapting to the increasing demand.Since fm Büromöbel joined the Vivonio Group in September 2017 as the sixth subsidiary, it has developed extremely well. To ensure sustainable growth, fm Büromöbel GmbH is now significantly expanding its production capacities: With the takeover of a modern production site in Upper Austria, the company is adapting to the increasing demand.